1884 built to order of Northern Company and arrived Auckland under barquentine rig 16 October 1884. 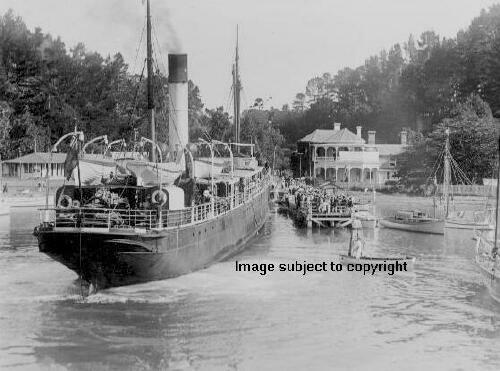 1926 August 26 collided with ELSIE MARY at Auckland. 1931 March 16 broke tail-shaft off Bird Rock, Bay of Islands. Towed to Auckland by paddle tug LYTTELTON and laid up.